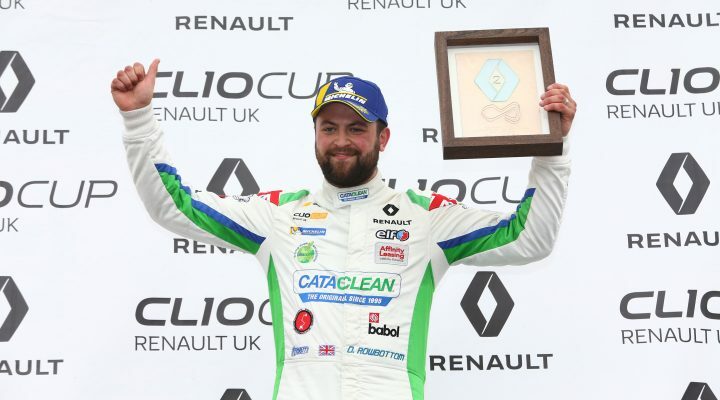 Kidderminster-based Renault UK Clio Cup ace Dan Rowbottom will join Ciceley Motorsport for the 2019 British Touring Car Championship. Backed by Cataclean, the leading fuel additive to clean and restore engine fuel and exhaust systems, Rowbottom will graduate from the Renault UK Clio Cup into one of Ciceley’s Mercedes-Benz A-Class cars for the forthcoming campaign. He was a triple race winner last season his way to fourth place in the Clio Cup and has been eager to climb the ladder into the BTCC. With the support from Cataclean, a long-time backer and supporter, he feels the time is right to make the step up. Rowbottom’s career began in karting, winning the 2001 Super 1 National Comer Cadet Championship and the Renault Elite League – Super Libre title in 2005. A move to cars came in 2008 with a season in the SEAT Cupra Championship before funding stopped his progression. A return to car racing in 2015 placed him in the Lotus Elise Trophy before moving to Clios in 2016. “To join the BTCC grid is a dream come true,” said Rowbottom. “Cataclean has been a great backer of my racing and with its support we have been able to make this possible for 2019 and beyond. Ciceley Motorsport Commercial Director Norman Burgess said: “We are delighted to welcome Dan to the team. We have been watching his pace in the Renault Clio Cup and have been very impressed, especially as he has been the real underdog up against the bigger teams. “We are confident that he will soon be up to speed in the BTCC and we look forward to working with Dan and seeing him progress in the championship. “Dan is a class act both at and away from the race track, we nearly secured his services while running our Clio team, everybody at Ciceley Motorsport is really looking forward to working with him.